Measuring your windows for window treatments can be difficult and almost unmanageable. At DECO Window Fashions, we can do that for you, however, some of our customers like doing it themselves. If you’re one of these customers, we hope this series will help you determine how to measure your windows for the window treatment you want. In this post, we will discuss how to measure your windows yourself. However, we will always be here to help you install any window treatments you purchase from us. Call us for a consultation at (512) 250-8600 or visit us at our store in Austin. We want to help you and make the window treatment process as easy as possible. 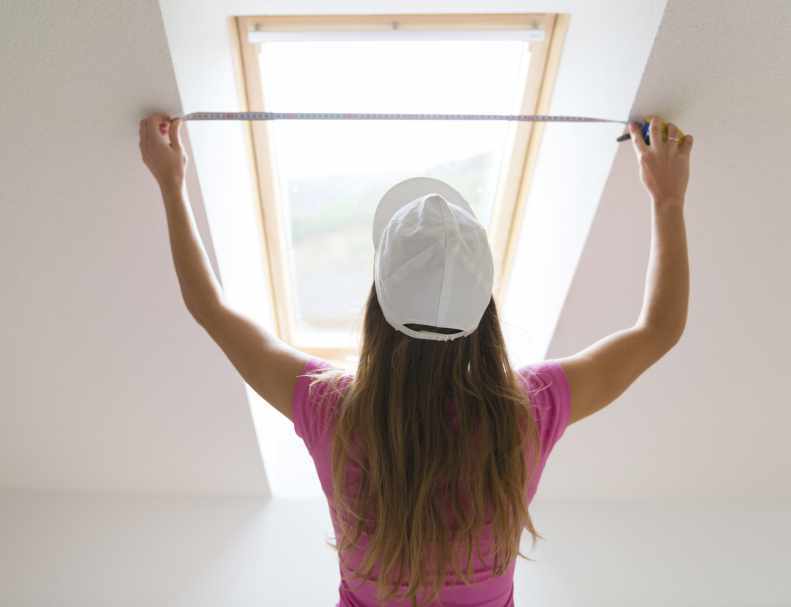 Measure the width of your window in three places: at the top, middle and bottom of the window, rounding your measurement to the nearest 1/8-inch. Take the widest of these measurements as your window width measurement. Next, set the drapery/curtain rod above the window. How far above depends on your personal preference. Some people may only want their curtain rod 1 to 3 inches above the top of the window molding, while others prefer a higher window rod mount that is 4 to 6 inches above the window. If you have a taller ceiling, however, you may want to add height and mount the rod higher. At DECO Window Fashions, we can help you determine which window treatment height is the best for you and your room. Depending on the type of rod you’re using for your drapes or curtains, you may have to allow extra space. For instance, if you’re using Rod Pocket Panels you should measure from the top of the pole to the floor and add however many inches of header ruffle you’d like. You will also have to add an inch for smaller rods and 2 inches for rods larger than 2 inches. Note: If you choose us, the rods can be customized to fit your window perfectly. If the panel is hung from rings, measure from the bottom of the ring to the floor. Make sure that the bottom of the ring is above the window molding. The next steps depend on what types of panels you will be using for your curtain or drapery window treatment. The next steps will be separated by type of panels. If you chose functional panels, as in panels that will open and close to cover the entire window, you will need to measure the width of the pole. Add 4 to 8 inches to the width of the window frame, on each side. However, if you want the panels to not cover the window at all when opened, you will need to do some calculating. The pole width needs to be about 30% larger (for pleated panels) than the window width that you measured earlier. It may only need to be 20% larger for flat top panels. If you chose decorative panels, which are panels that will not be moved, you need to determine if you have single width panels, inch and a half width panels, or double width panels. Tie Top and Tab Top hang below the rod with top of the panel one to two inches from the bottom of the rod. With Grommet Tops you can add an inch of the rod to allow the space for grommet. If you’d like to expose your entire window you should add 6 to 8 inches to the width of the window to allow space that will clear the window. Now that you have figured out the widths of the panels, the window, and the drapes, you will need to determine what you’d like the length of the curtain or drape to be. Typically, the most common lengths for drapes and curtains are to the top of the windowsill, just below the windowsill, midway between the windowsill and the floor, or to the floor. In terms of inches, the common lengths for curtains and drapes are 63 inches, 84 inches, 95 inches, 108 inches and 120 inches. But you still need to measure the length of your window based on where you’d like the drapes to hit. If you choose to work with us at DECO Window Fashions, we will eliminate these measurement and installation worries. We can install and measure any windows to make the installation of these window treatments for you easy and simple. Not only that, but we will help you pick out the perfect drapes, curtains, or other window treatment that works best for you. Call us at (512) 250-8600 for a consultation or visit our store in Austin and we will help you find the best window treatment for your home.